Loading vehicles in overseas containers can be a sensible and cost-effective alternative to RoRo (Roll on Roll off) shipments. In fact, especially for trucks and small transporters, the shipment in the container should be highly recommended as they are secured in the overseas container against the external influences on the high sea and damages. 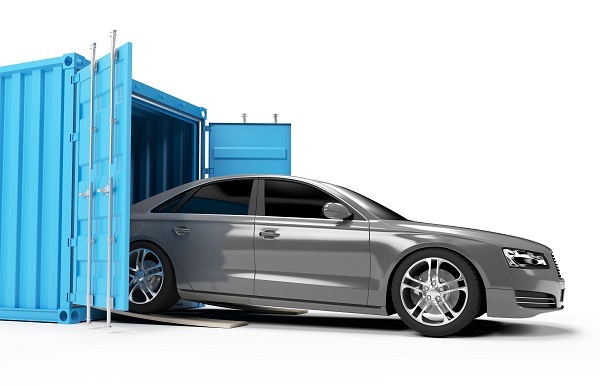 The security of respective motor vehicle in the container is a professional service, which, if required, can take place on-site at the customer’s place. However, such services are provided in our warehouse cost-effectively due to the available technology, equipment and routes avoided by the professional personnel. If you cannot deliver the vehicles on your own, we shall be happy to offer you a cost-effective pre-carriage. The vehicles loaded for the commercial purpose like tractors and large farm machinery, which cannot find a place in a container automatically, can be correspondingly prepared by a partner company so that they can fit in the container. The technical practicability must be checked in detail. Shipment of a fleet of vehicles in a container is a genuine alternative to Roll on Roll off-procedure irrespective of cost-benefit-ratio and due to the planning certainty, as Roll on Roll off-ships use the specific routes only at long intervals and this often results in a long waiting period due to limited capacities. On the other hand, freights by containers are often available across the globe and regularly. Send your request to us, we shall contact you and go through the details along with you.